Spoonflower has a new feature called “fill-a-yard” that allows a customer to fill a yard of fabric with designs from a collection. I used some of the coloring book rose designs from my Paper Play collection. I’ll be appliqueing white fabric around the center colored section and a white picket fence style applique around the edge. It will look nice draped over a chair this summer. 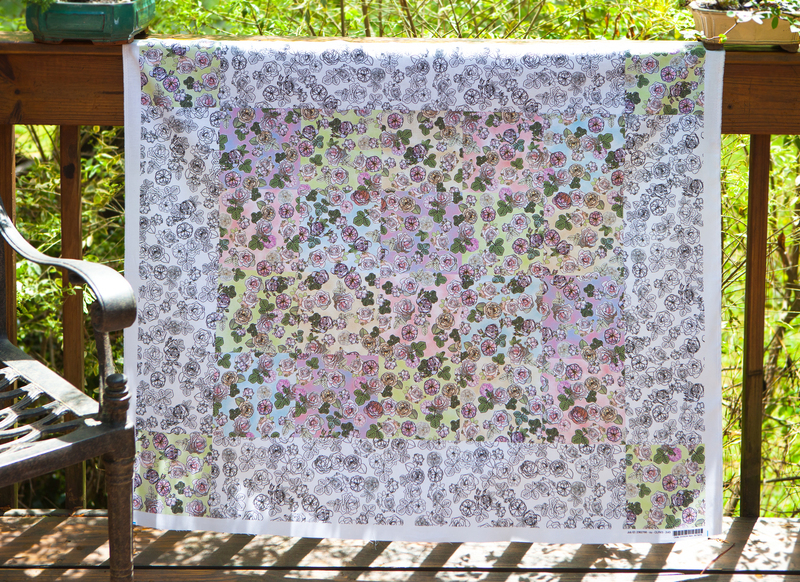 This cheater quilt printed by Spoonflower is printed with English rose designs. Click on the image to see a larger version with more detail. You can find the rose fabric at Spoonflower online here.